The STIHL RM 756 YC petrol lawn mower has been specially developed for tough, long-lasting use in a professional environment. 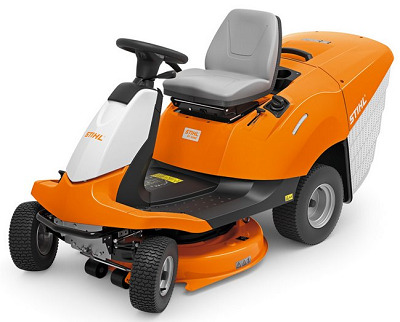 With its 54cm/21" cutting width and its variable hydrostatic drive, this professional lawn mower is designed to mow areas up to 3000m². The hybrid housing is sturdy and durable. The foldable, dual-comfort handlebar can be adapted to your body height, ensuring the most comfortable working position, essential when you're mowing for long periods of the day. This model features anti-vibration elements which effectively reduce engine vibration, allowing you to comfortably use the mower for a full working day. With a 3 litre fuel tank for long running times coupled with the reliable and powerful Kawasaki engine, this mower is designed for large and tough mowing jobs. An 80 l grass catcher bag– made from tough fabric makes it easy to see when the grass catcher bag is full, whilst allowing excellent air flow to ensure the bag is filled to the brim. 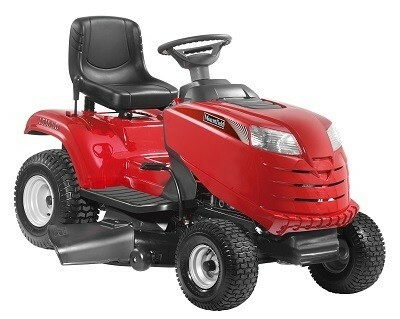 The Honda HF2315HM Ride On Mower is designed to provide outstanding cut and collection performance whatever the condition of your lawn, Honda’s powerful and versatile lawn tractors make maintaining a great looking garden an almost effortless endeavour. The HF 2315 HM is one such lawn tractor; as tough and efficient as you’d expect of a Honda machine and built to be easy to use, durable and reliable. Fitted with a large 92cm cutting deck, perfect for making light work of medium to large lawns, the HF 2315 HM uses an electromagnetically engaged two-blade cutting system to cut grass quickly and evenly as you traverse your lawn. The HF 2315 HM is also notable for featuring Honda’s innovative Optiflow system, whereby a fan powered system under the ventilated cutting deck is utilised to increase airflow to reduce power loss, noise emissions and grass accumulation and improve overall performance. 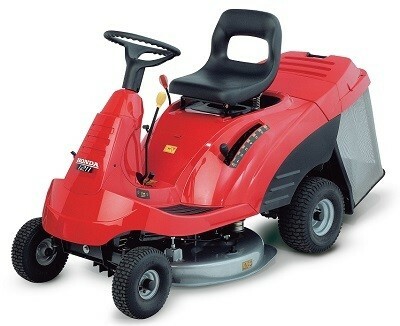 The Honda HF1211H Ride on Mower is a machine carrying all the hallmarks of Honda’s many years of engineering excellence; a compact and agile ride-on lawnmower perfect for maintaining lawns of up to 2,000m2 with the minimum of fuss. Fitted with a powerful 337cc GXV340 OHV four-stroke petrol engine with a quiet and cool-running Honda design to assure optimum performance, the HF 1211 H also features user friendly electric key starting for added convenience. The fantastic maneouvrability of this nimble machine has a lot to do with the drive system; fully hydrostatic transmission offers enhanced control and ease of operation by eliminating the need to change gears manually and providing infinitely fine speed control. This allows you to adjust the speed quickly and easily when navigating borders, lawn edges and obstacles, such as trees, ponds and ornaments, while the high seating position offers all round visibility to make traversing your garden an even simpler matter. 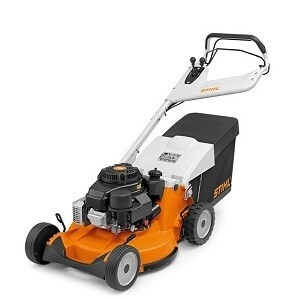 Excellent cutting results are assured thanks to the HF 1211 H’s precision-engineered cutting blade, featuring a 71cm cutting width to make light work of even larger lawns. Moreover, seven-position cutting height adjustment (30mm-80mm), controlled via a centralised lever system, provides valuable added versatility and ensures a precision finish. Collection is handled via a high capacity 170 litre fluted mesh grass bag, featuring ‘one touch’ easy removal for efficient clipping disposal and easy storage. The HF 1211 H is also notable for the convenience of its design, including a safety enhancing manually operated blade brake and a wash nozzle inlet to allow for quick and easy cleaning. 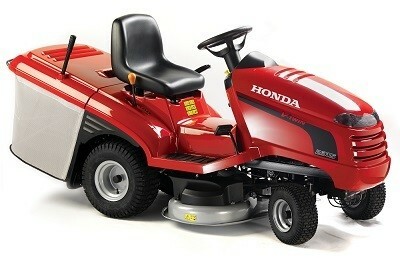 Convenient, efficient, compact and sprightly, Honda’s HF 1211 H makes for an excellent introduction to the exciting world of ride-on lawnmowers. Mountfield's 1538M SD is a dual-capability machine, with mulching and side-discharge modes offered as standard. Mulching is the obvious choice when looking after a formal, regularly trimmed lawn; while side-discharge will come into its own on the sort of long, damp grass found in meadows, paddocks and orchards.